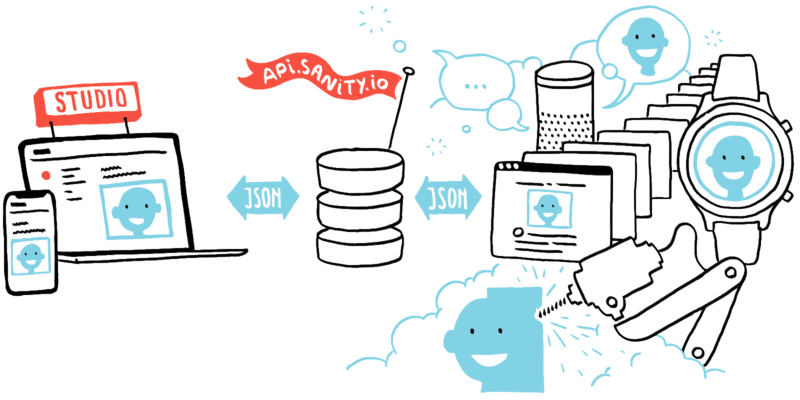 Sanity provides a hosted, secure and scalable real-time database. To display your data you'll need a front-end. We have client libraries, helpers and examples to get you started. Enjoy an edge cached flexible image pipeline with smart cropping.